(i) Shri Ajit Kumar Seth, IAS (Retired) (UP:1974), Former Cabinet Secretary, Government of India as Chairman, Public Enterprises Selection Board (PESB) vice Shri Atul Chaturvedi, IAS (Retired) (UP:1974). (ii) Ms. Gauri Kumar, IAS (GJ:1979), Secretary (Coord. 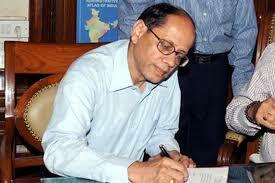 & PG), Cabinet Secretariat, Government of India as Member, PESB vice Shri KM. Acharaya, IAS (Retired) (MP:1974). (iii) Shri Anshuman Das, Retired CMD, NALCO as Member, PESB vice Shri Ashwani Kumar Datt.